I've been trying to get this post up nearly every day this past week but we just haven't had any sun at all. The photos I have been able to take just don't do the product any justice. Think I might try taking them another day when it's sunnier and replace the photos below. The Soft Lights Illuminating Tint* is described as a wonderful light foundation tint with a gentle shimmer or pearlesence. It gives your complexion a soft radiance and minimises the appearance of fine lines. Manuka Honey and natural oils give nourishment, and pure minerals provide the soft healthy glow. I personally use it in conjunction with another foundation or tinted moisturiser as I find it to be too shimmery or glowy on it's own and I have dry skin. Those with oily skins, but still like their skin to have a subtle glow, will definitely want to mix it as well. You can see in the photo above that the pump is white and silver which is actually a temporary pump as Living Nature have had problems with previous ones. When you purchase this you can request a new pump with the email address they provide and they will send one out to you. I'd definitely recommend doing this as this one doesn't have a lid so isn't good for traveling. I also much prefer the normal black lid to this one, it just goes better with the rest of the packaging. It is available in three shades, Dawn Glow which I have and is the lightest, Day Glow and Evening Glow. 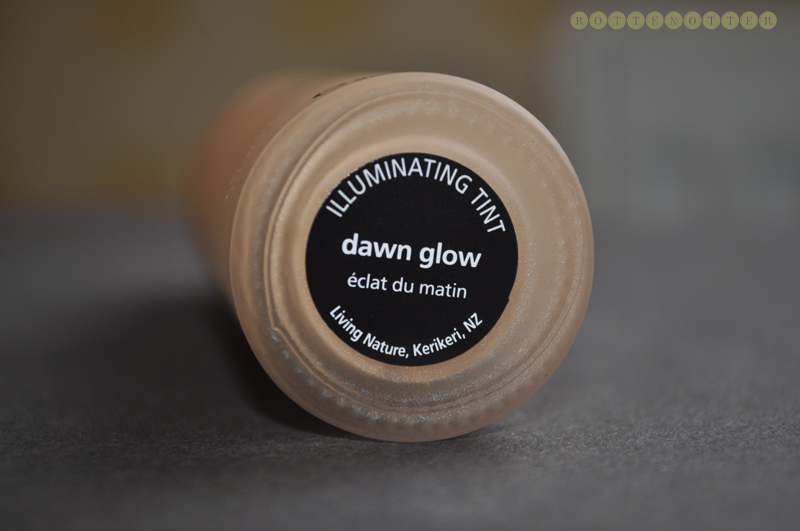 I have very pale skin so Dawn Glow is still a bit too orange when used on it's own. As I've already said, I mix this with another foundation so this isn't a problem. 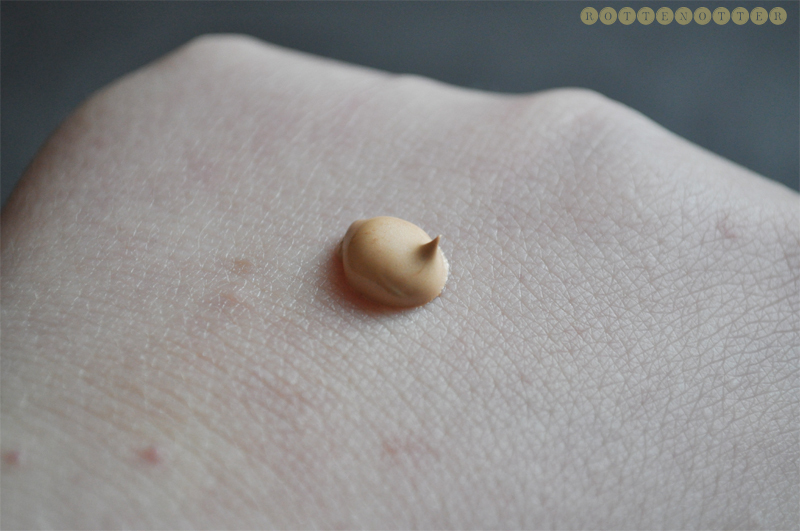 It is a very sheer foundation so even though there is only 3 shades I think it would suit a lot more skin tones which is great. 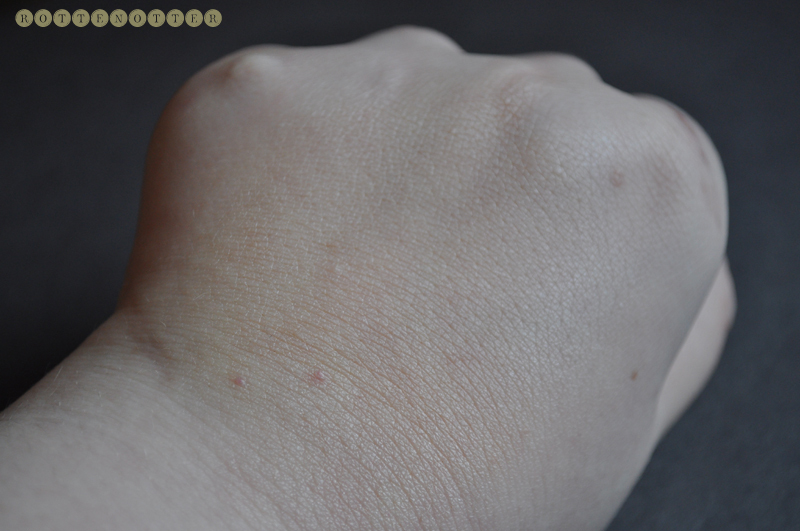 As I said before, it was very hard to take photos of the shimmer but the top photo of my hand has the foundation alone and the bottom one doesn't have any at all. It just adds a bit more life to the skin and stops your face looking so flat. 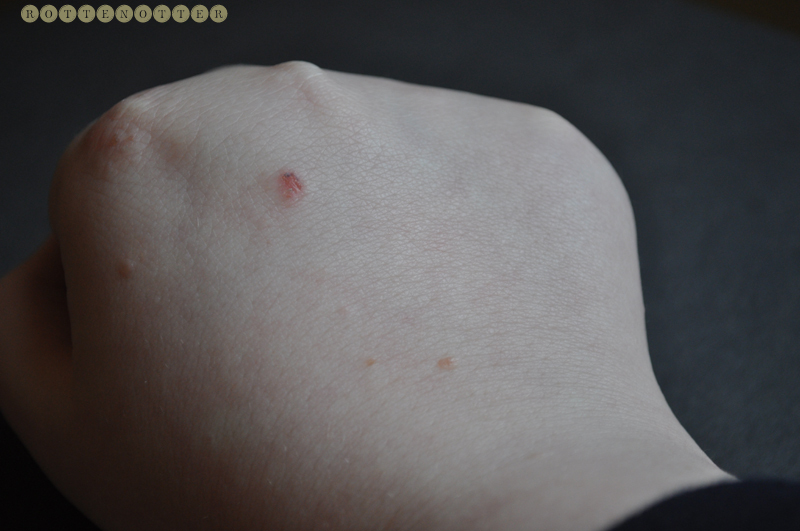 It isn't glitter, just a really subtle pearl shimmer. If you didn't want to shimmer all over your face, especially if you have oily skin, you could just apply it to certain areas then apply your normal foundation and skip adding your highlighter. 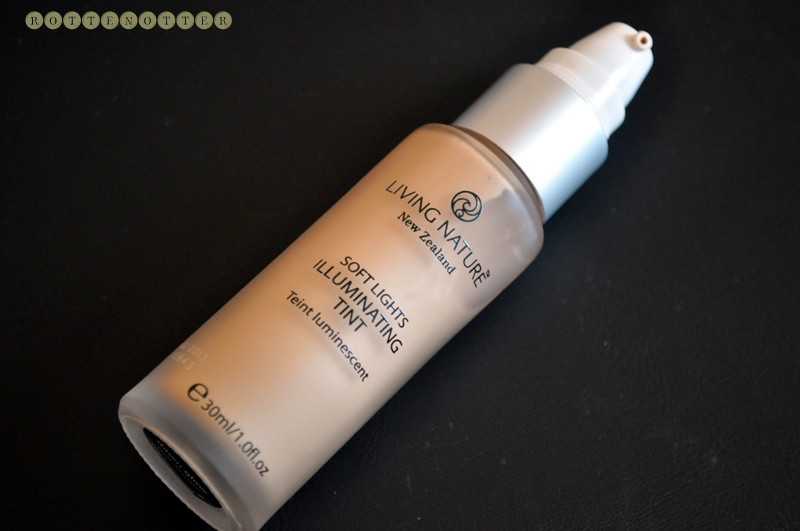 The Illuminating Tint is 30ml, your normal foundation size, and cost £17.99. I use a little bit less than a pump for my face so this bottle will last a long time which makes the price worth it to me. Have you tired this before? Or any products that are similar? lovely review!17 pounds from which shop?